WhereIsMyTransport has added Gauteng province, Kampala, Nairobi, Dar es Salaam and Kigali to the network of cities it covers. Finding your way around a new city can be near impossible. But for decades, commuters have navigated Cape Town's minibus taxis using only word of mouth. WhereIsMyTransport wants to change that. This Cape Town-based startup's mission is to improve emerging cities’ transit systems through big data. 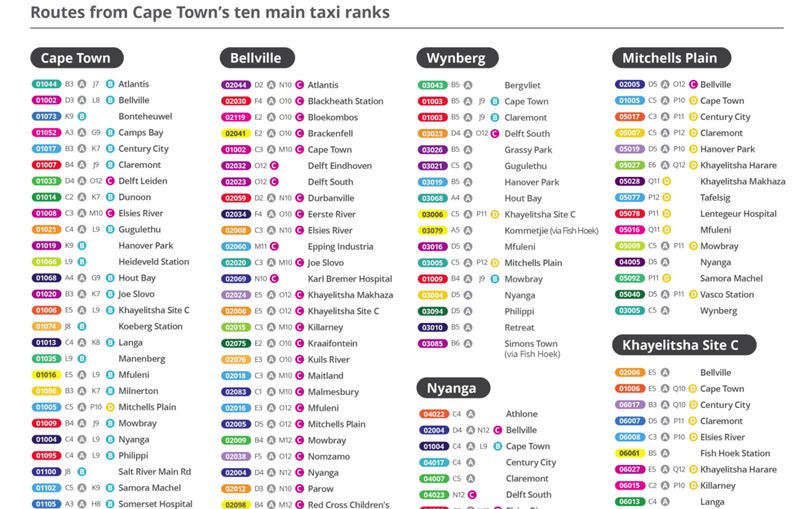 Similar startups in South Africa include awaytobe, which was launched in 2013 by Joburg based computer scientist, Lebogang Nkoane, to help people find public transport routes for minibus taxis, busses and trains in South Africa and Kenya. A few years ago, WhereIsMyTransport secured an investment of US$1.536 million to fund a new open information platform that collates transit data for formal and informal services and combines it with analytics and communication tools. Cape Town now has its formal and informally run transport system data captured, integrated and openly available. Catering mainly to the underserved and mostly black population living outside the city's central business district, minibus taxis are a distinctly South African phenomenon that arose from the physical separation of the apartheid era. With no set timetable and destinations generally being yelled from the driver's seat, they’re not the easiest for the uninitiated to circumnavigate; which is where the value of WhereIsMyTransport emerges. The map reveals quite a lot about the mother city. 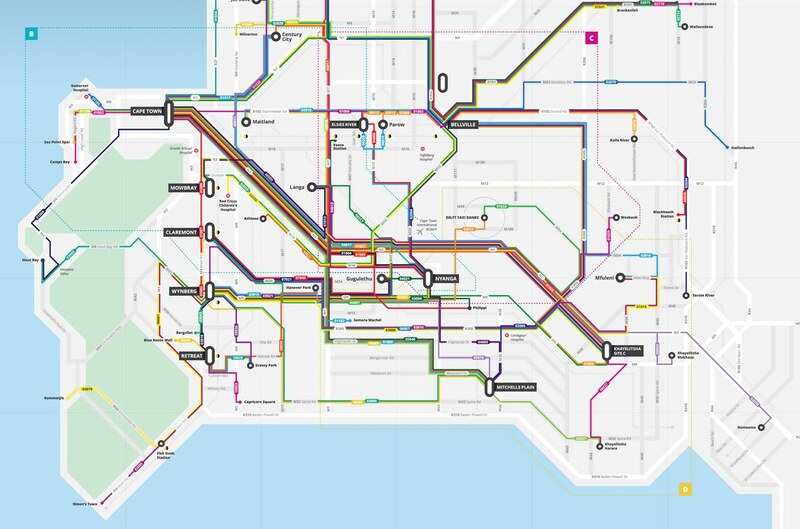 It highlights the quickest route to your destination, it exposes underrepresented communities where formal transit doesn’t reach and lays bare the disparate access to public services that still exists. But the map’s real significance lies in the data being openly and dynamically available. WhereIsMyTransport has since added Gauteng province, Kampala, Nairobi, Dar es Salaam and Kigali to the network of cities it covers.